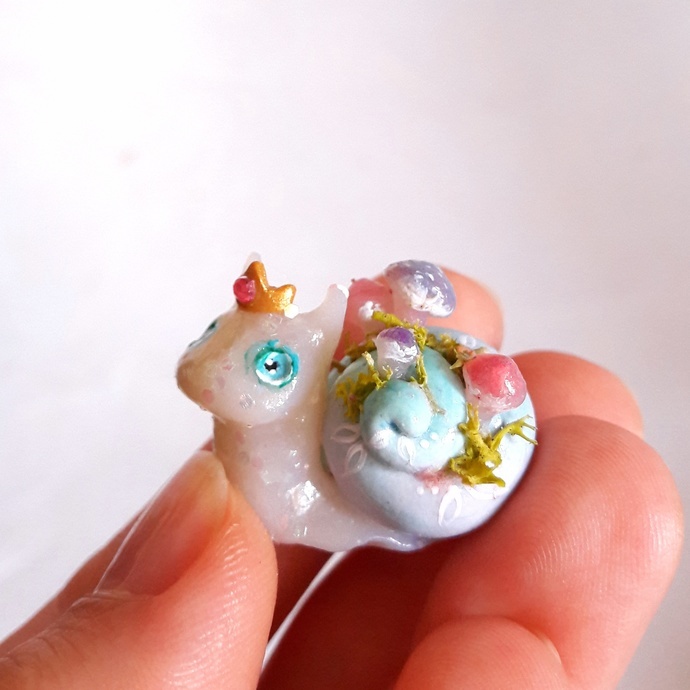 Polymer clay snail figurine. hand made with love and care. This tiny snail is so proud of the colorful mushrooms on her shell. She feels like a princess indeed she has asked me to make a little crown! Together with it you receive a surprsie gift and instructions to take care of it! It will be packaged carefully to let you got it save and safe! The standard shipping charge is for air mail no trackable shipping. I usually have not trouble with that service. If you do prefer the registered mail (it would be $10 more than the standard shipping) feel free to contact me before placing the order! Thank you for visiting FlowerLand shop!